A timeless classic. Made from beautiful cotton fabric trimmed in eyelet lace with a rose accented bow. 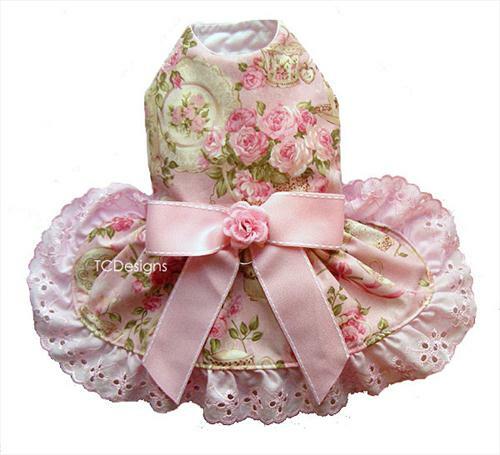 This dress is true treasure just like your furbaby. 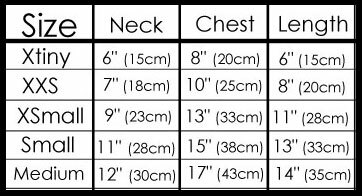 *The size chart is a guideline. This design is made when it is ordered. Choose the closest size to the GIRTH measurements you need and then give me actual measurements in the notes section on the checkout page.